This 2019 Full Sovereign Gold Coin features the standard 'St. 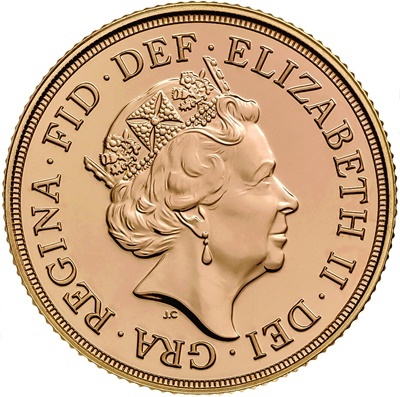 George and the Dragon' design on the reverse, with the obverse bearing the fifth portrait of Queen Elizabeth II, designed by artist Jody Clark. 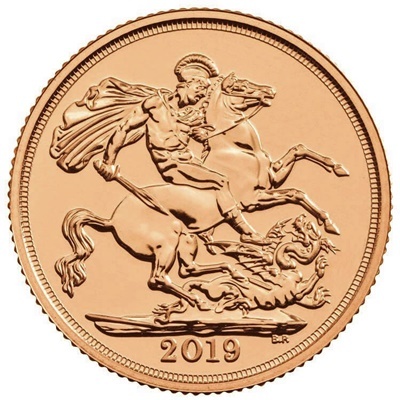 This year, it is continuing with the classic Pistrucci's St George & Dragon design for 2019, (please note that the image of the Reverse of the coin is an artists impression as supplied by the Royal Mint). The Mintage is not set again this year, so demand will dictate issue numbers, and it is thought that if demand remains as high as last year, they will be selling in good numbers. Investment quantities are available - for quotes please call or email for current prices.